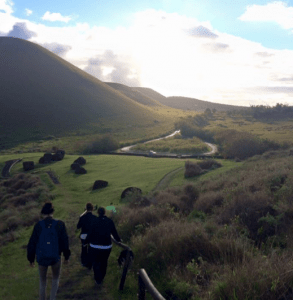 2015: Chile Sustainability Travel Course – Students were exposed to a number of academic lectures, engin eering and technology field trips, and cultural experiences. The course was comprised of students from UW-Green Bay and other universities across the country. It was led by myself and Dr. Alex Godoy from the Universidad del Desarrollo in Santiago. 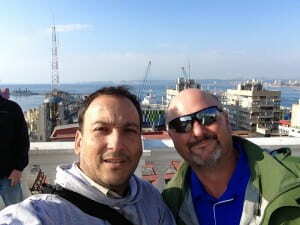 My work with Alex has led to a very strong partnership between UW-Green Bay and the Universidad del Desarrollo. As a result, a number of faculty members have collaborated on efforts between both universities. For more information, please visit Alex’s iSustainabilityLab website. 2010: Smithsonian Tropical Research Institute - Traveled with ten students and two faculty members. Students had the opportunity t o work on projects monitoring tropical wildlife, fossil collections in the Panama Canal Zone with a team of Smithsonian paleontologist, and unique tropical habitats. I continue to explore research opportunities on solid waste management in Panama. 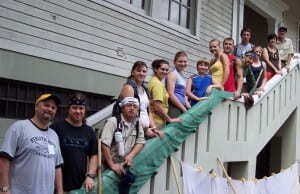 2007: First opportunity to travel to Panama with several faculty members from both UW-Green Bay and St. Norbert College.